Before ELAFF HQ begins full swing on the world-wide web with articles, videos, pictures and overall general pandemonium, I was asked to first give a short introduction of myself. A while back, I was approached by a cat that goes by the name Lemon. Lieutenant Lemon that is, and offered me a really well paid position of being a contributor to his up and coming web site. At first I said, “if it aint burning, I aint there.” But then, about two and a half seconds later, I realized that this was an opportunity to be a part of the hottest trend in the fire service. So after this revelation, and a righteous pummeling with fists full of cash, I accepted. So the big question on everyone’s mind will be “Who IS this outlandish man, and self-proclaimed Dragon King?” I am Captain Chaos. I am that guy that’s on every fire department. I’ve been there, done it, twice, and have an awesome t-shirt and coffee cup to prove it! Actual time on the truck does not matter. I have an answer to everything, am never wrong, and will always have a story better than yours. Surely by now, you realize who I am. Through these shenanigans, I do hope that we will have fun together, and LEARN something. Whether you get a good laugh, our just plain out right offended, the point is to take something away from it all, and make you a better firefighter. I wont, because I’m already perfect in every way. It does not get better than this, but I digress. As time goes on, you will come to understand the ELAFF mindset. Keep your tray in its upright position, your hands and arms inside the rig at all times, and hold on! 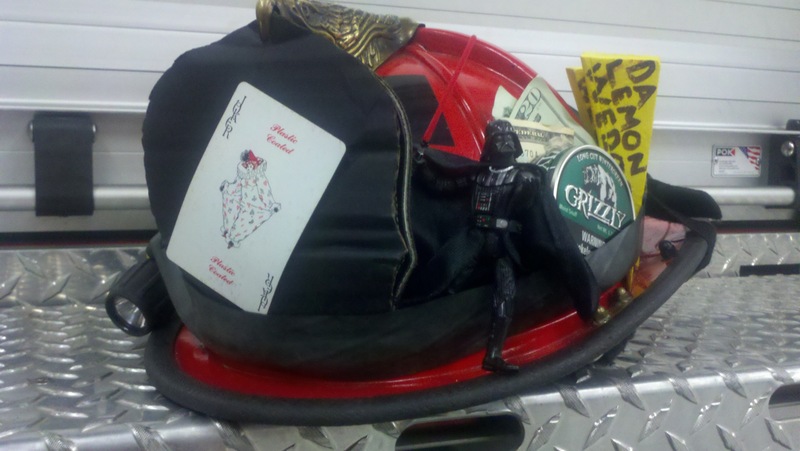 Excessive Leather Accessories for Firefighters is just getting started! Enjoy!